What the Heck is Probation? Probation often stirs up confusion. Many often think that this is the same as being free, but this is not the case. To clear things up, we try to explain probation in a nutshell in this article. Probation is basically an alternative to being put behind bars. If someone has committed a relatively light crime, it would be unfair to lock them up. In these cases, someone is put under probation. Probation is an order made by the court for you to do or not to do certain things for a certain period of time. With this, you are under the supervision of a probation officer, who checks on you, and if you are complying with the conditions of probation. 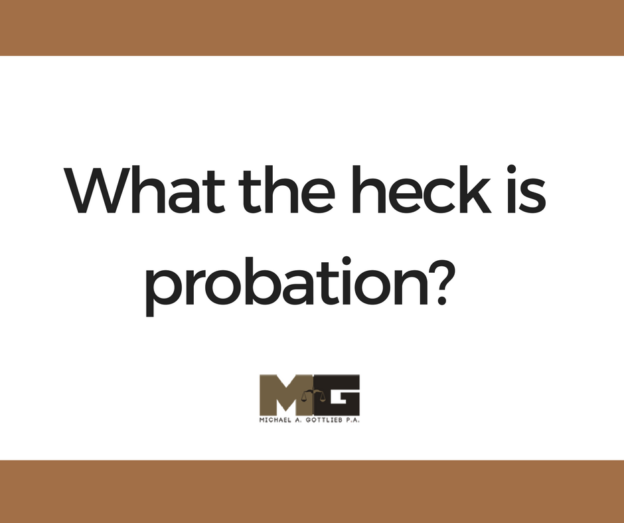 Almost everyone considers probation as a hassle because it sometimes is. Since you have committed a crime punishable by a probation order, you have to deal with it. Obey all the laws of the land. Probation is no joke, so you better take it seriously. Do not worsen your case and push the court to actually send you inside a jail cell. Be a law-abiding citizen. Show up in court when ordered. First of all, you are under probation because of the crime you committed. Make it up to society, and yourself, by attending court hearings. Attend to your rehabilitative therapies. Being under probation is not actually a punishment. It is a way of the law to help you get back on the right track. Be it individual or group therapies, make sure you attend these for your own rehabilitation. Submit to random drug testing. This is a standard condition of probation. While you are already expected to not have or use drugs not prescribed by doctors, you must submit yourself to random substance abuse evaluation. Report to your probation officer. Since the probation officer is your supervisor, they should also be allowed to visit your residence and check it for any illegal items. Keep in mind that you do not have to do this every day. Aside from paying the community a service, you must also pay court costs and any restitution. Violating rules entails lots of paying, too. What is the Best Thing to Do if Put Under Probation? Because of the crime you committed, you are sent back to your home. You are not free like the other citizens in your neighborhood. After staying true to the conditions of probation and after proving to the court that you will stay out of trouble, your probation might already be terminated. Usually though, probation lasts for six months to 10 years, depending on the severity of your crime. Generally, it is a good idea to contact a criminal defense lawyer if you are on probation. Do yourself a favor and let an experienced attorney help you out. Disobedience to rules is the wrong move, but it is not too late to do it right this time. Seek the best legal assistance you can find, and your future self will thank you. If you need a Broward Criminal Lawyer, contact Michael Gottlieb today.